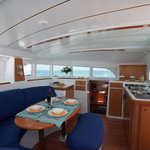 Alboran Tequila Cuba is a name of vessel Lagoon 380 ,which has been produced in 2007. Alboran Tequila Cuba is equipped with 10 sleeping places. 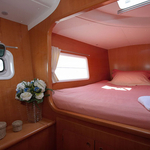 Beds on the yacht are configured in 10 (8+2) scheme. 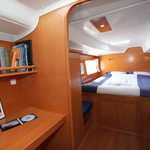 6 bedrooms are located inside the yacht Alboran Tequila Cuba. 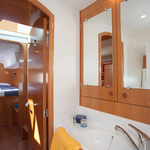 Passengers can feel comfy on this sailboat , because there are 2 toilettes with showers for their disposal. 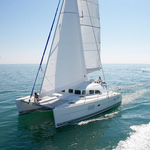 With 200.00 l l. in diesel tank you can sail really far and still be independent because of 300.00 l l. in water tank. Alboran Tequila Cuba is supplied with motor 2 x 28 HP. 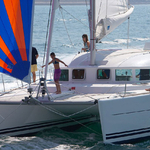 Sailboat's dimensions are: LOA - 11.60 meters , width - 6.53 meters and 1.15 m of depth. 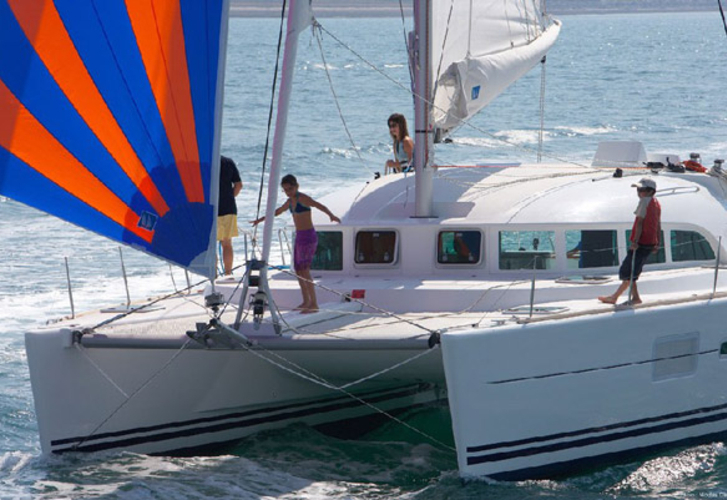 On the yacht is placed following equipment: Autopilot, Gps plotter, Radar, Bimini top, Dinghy, Anchor electric windlass, Radio / cd player, Outboard engine, Solar panels. . Caution there is 2500.00 EUR.